Google is the world’s most popular search engine. Shortly after its creation, Google’s popularity skyrocketed and it soon became the dominant search engine for finding information on the internet. This is why, if you own a website, you want it to be high in the Google ratings. Google is constantly changing and evolving so you need to keep up with the changes. Their recent changes, called the Panda Update, caused many sites’ rankings to drop significantly. Google’s mission is to provide the highest quality information for each search done and in doing this, many sites get lost in the endless pages of search results. To get your website increased ranking there are many things you can do and many things you should not do. I have tried to list some of the more effective things you should do and a couple things you should not do for better placement in Google. 1. Limit Your Advertising – If you have a hodgepodge or cluttering of advertising on your site, this can decrease your ranking. Google considers excess advertising to be a sign of a low-quality spam site. And remember, Google’s goal is to provide the highest quality sites at the top of the search results. 3. Relevant and Quality Content – One of the most important things to do for better SEO is to provide quality content with relevant keywords. Quality is always more effective than quantity so don’t plaster a ton of low-quality articles on your sit just to have content. Make sure the articles you choose are relevant to your site and provide helpful information. If you have some of the same articles as another site, the most relevant quality site will be higher in the rankings so the duplicate content itself, will not lower your rankings. Also, be sure to add fresh new content on a regular basis. 4. Google+1 Button – By joining Google Plus and adding a Google+1 button to your site, you can help uplift your site’s rankings. One of the things Google looks at the most is your site’s level of importance and relevancy. The more plus ones you can get, the more importance it will give your site, thus causing Google to increase your ranking in the search results page. This will also get your site more exposure resulting in more visits as well. 5. Become a Blogger – If you haven’t already done so, you need to add a blog to your business website. Blogging is a highly efficient way to raise your ranking in Google because a blog does two things. First, it can add many pages of keyword-rich relevant quality content to your site which will be noticed by Google. The more quality pages indexed, the more chances you have to be on page one. And secondly, a blog can increase the amount of quality inbound links to your site. 6. Relevant Inbound Links – Quality inbound links are a great way to add relevance and importance to your site. Guest posting on high quality blogs is one of the best ways to accomplish this task. Commenting on existing blog comments works well also. Always use keyword rich posts with appropriate sites and use relevant keywords for your links. Google does not value links from article banks as much as they used to so choosing a few quality blogs is better than submitting to countless article sites. 7. Social Media – As with many facets of internet marketing, social media plays a big part in SEO. Be active on your social sites. Do not let them go stale. Engage in conversations, post new info regularly and involve your visitors. 8. Keyword Research – Keywords play an important part in SEO but using the wrong keywords can do more harm than good. Be sure to research keywords to find what search phrases people are using to find your site’s info. Google offers a keyword tool called Google Keyword Tool. This free tool will give you a list of keywords and tell you how often they are used and their competition. 9. Hidden Text – Hidden text is text displayed on your site but invisible to your visitors. A common way of doing this is to set the font color the same as the background color. The reason for doing this is to add a large amount of keywords for the search engines but not make your content seem redundant to your visitors. Do not do this. 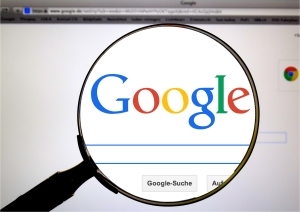 Google considers this manipulation and it could get your site penalized. 10. Bad Linking – Reciprocal linking, inbound links and outgoing links can all be good if you follow the proper procedure. Do not link with any and all sites. Be very selective and only link with sites that are relevant to your site and contain quality content. Stay away from FFA (Free For All) or link farm sites. Check your links regularly to make sure they are not broken links. Broken links will catch the attention of Google and other search engines. Linking to poor quality sites or spam sites is also something you do not want to do. Years ago quantity might have gotten you a boost but now it is all about quality links to relevant sites, NOT quantity! Obtaining a high Google ranking is the goal of every webmaster. It can be done but you need to be consistent, persistent and keep abreast of Google’s ever evolving search methods. You article really help me lot to rank some keywords in Google and i think link building is also give some very good results if we done it in the right way. I am so glad my article helped you. Please feel free to look over all my other articles for ideas and tips to help you with your business! Thank you for your feedback.